I’m a week behind on show notes. My bad. Last week, I took a trip to the Bay Area and to Portland to film presentations for my upcoming project, The Second Opinion Series Volume One: The Thyroid Sessions. I got to hang out with really cool peeps like Chris Kresser, Dr. Dan Kalish, Dr. Sara Gottfried, Nora Gedgaudas, and last week’s podcast guest Andrea Nakayama. Stay tuned for more info! Andrea is crazy smart and she’s the master of “backing it up” — in other words, peeling back the layers and getting to the root cause of health challenges. On last week’s show, she and I chatted about one of my favorite topics, digestion. 4:07 – Where to find an awesome holistic dentist. 5:35 – Finding Her Calling: What turned Andrea toward health and nutrition. 9:45 – Defining the purpose and practice of functional nutrition. 12:43 – The biggest stressor you put on your system every single day! 14:10 – How to protect the skin within. 16:38 – I’ve got horrible allergies! What’s going on here? 22:24 – Strategies to build up a store of healthy gut bacteria. 24:30 – There’s no one-size-fits-all probiotic therapy. 26:00 – Start with the basics (digest and absorption) and go from there! 26:56 – How staying up past your bedtime can cause health problems. 29:19 – Connecting the Dots: How the gut and immune systems are attached at the hip. 34:24 – How poor liver function leads to thyroid and adrenal problems. 37:05 – Non-Violent Communication with Self: How to listen to and be in tune with your body. 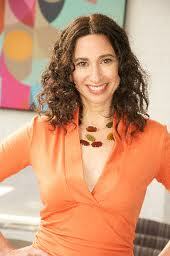 40:27 – Andrea’s BEST tips for restoring your health! 45:31 – When is the right time to seek out professional help for digestive issues? 47:41 – How to become a functional nutrition practitioner. Andrea will teach you! Click the player below to listen to the entire episode. A Girl’s Guide to Hashimoto’s. This entry was posted on Thursday, March 6th, 2014 at 11:18 am and is filed under podcast, wellness. You can follow any responses to this entry through the RSS 2.0 feed.